Sometimes jazz can be so virtuosic that it becomes relentless unforgiving, and tiring. That’s why a more delicate touch, a woman’s touch, can remind you how beautiful the idiom can be as well. 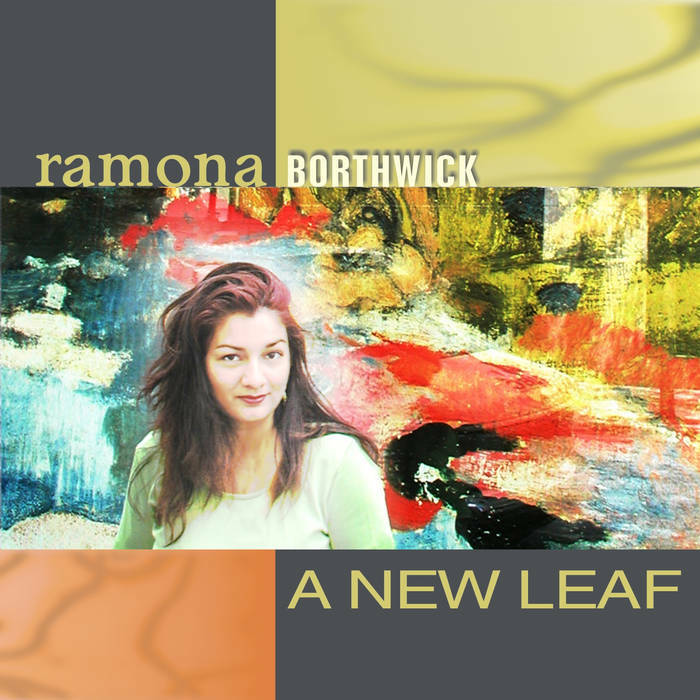 Ramona Borthwick’s debut as bandleader, A New Leaf, is just that kind of reminder. Throughout these eleven compositions, all of which were either written or co-written by Borthwick, the filigreed beauty of Ramona’s jazz piano and lilting voice stands out. Despite shifting styles and a diversity of color, Borthwick’s choices and techniques exhibit the immense tastefulness and gorgeous restraint of a veteran bandleader. Which is why Borthwick’s debut, genuine and self-assured, is one of the jazz community’s most intriguing and exciting bows in recent memory. Her bio begins this way: Born in Bombay, a bustling port city on the west coast of India, Borthwick was introduced to music early in life by her father, also a professional musician and composer. She began piano lessons at six, and pursued studies in classical music, earning performance degrees through the Trinity College and Royals Schools of Music in London. In her 20s she discovered jazz piano and vocal stylings. Excited and inspired by the concept of improvisation, she began to explore jazz improvisational and accompaniment skills. ‘Sound Matters’ (1991), her first recording released in India and was hailed by critics as the first indigenous recording of mainstream contemporary jazz in India. In fact, Borthwick has rendered A New Leaf as a multi-faceted, many-tentacled set, an exhilarating, pastel-hued effort that finds the artist dipping into a variety of idioms in search of interesting tone, mood, and feeling, and coming up with a stunning array of fantastic results. Borthwick’s Whaling City Sound debut serves as an early high water mark in the pianist’s career, one rich in melody, impressive in terms of talent, and expressive in a way similar to great poetry or richly rendered art, all led by the strong personal touch of the exquisitely capable Borthwick.